Track & analyse valuable data that will help to shape your eCommerce business strategy & calculate your ROI. Want to get a high-level overview of how your online store is performing? 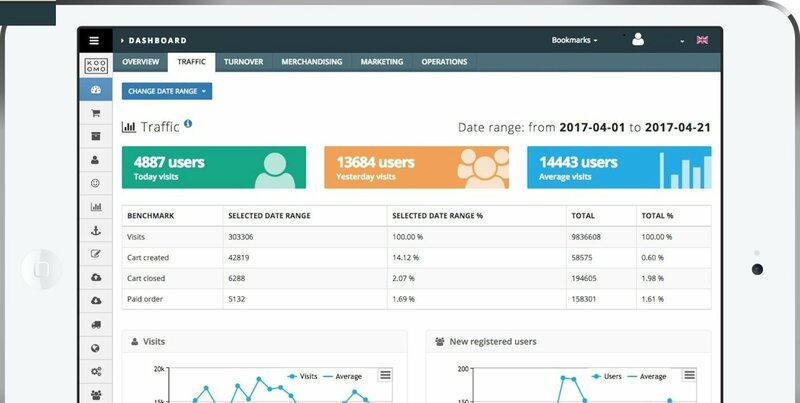 Get a quick snapshot of key analytics on every area of the business through your personalised ecommerce analytics tools & report dashboard. Dig deep into powerful data to gain key insights that tell a story about the areas of your business that are performing well, as well as the areas that need to be further optimised. Discover valuable information about your audience, which can by utilised to shape future promotions, marketing campaigns, and product development. Tools within the digital commerce platform enable you to accurately measure ROI on all of your sales channels (online and offline), as well as marketing campaigns and most importantly, return on your digital commerce solution with Kooomo.